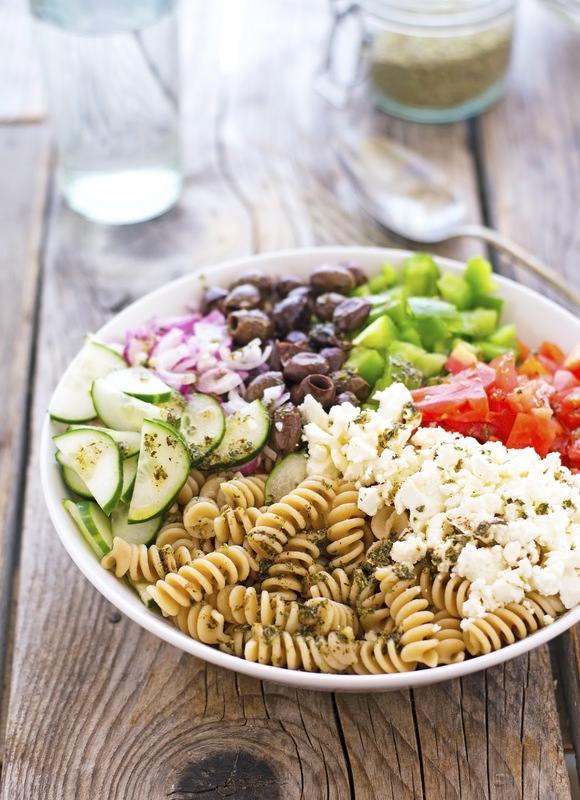 Greek Pasta Salad Print this recipe! 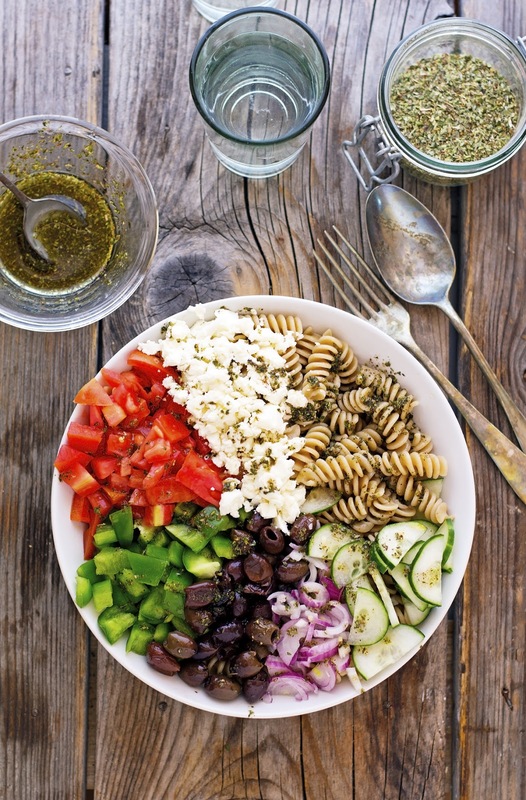 Love Greek pasta salad! 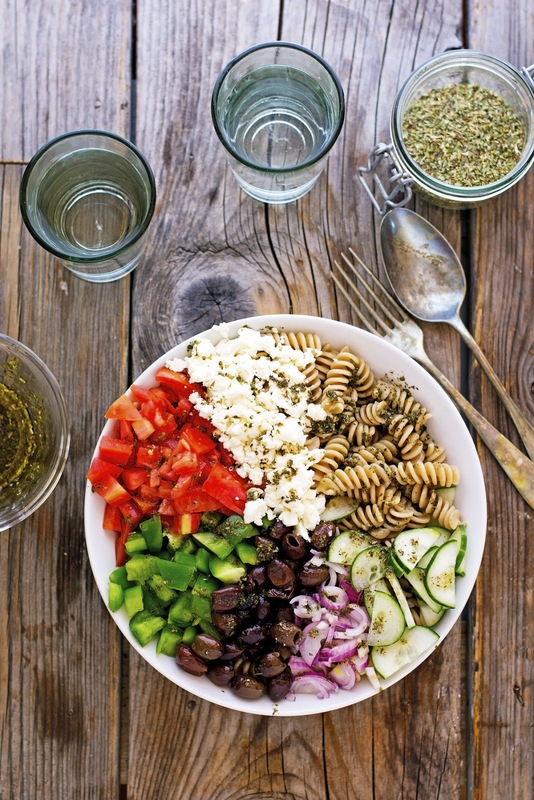 I've been making a version of this and packing it for lunch, along with a couple of boiled eggs for extra protein. I made this pasta salad last night. It is light and yet so delicious; My family loved it! I will definitely make it again.